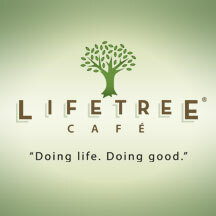 Lifetree Cafe is a "conversation café" - a place and time for people to experience stories and talk about thought-provoking topics relating to life and faith. The Lifetree hour typically includes real-life stories on film, presentation of interesting and relevant information, conversation with others, and helpful tips to take home. It's absolutely FREE! Nada! Zilch! Our Lifetree Cafe is closed for Summer Break. Come back closer to September to find out what is happening next!